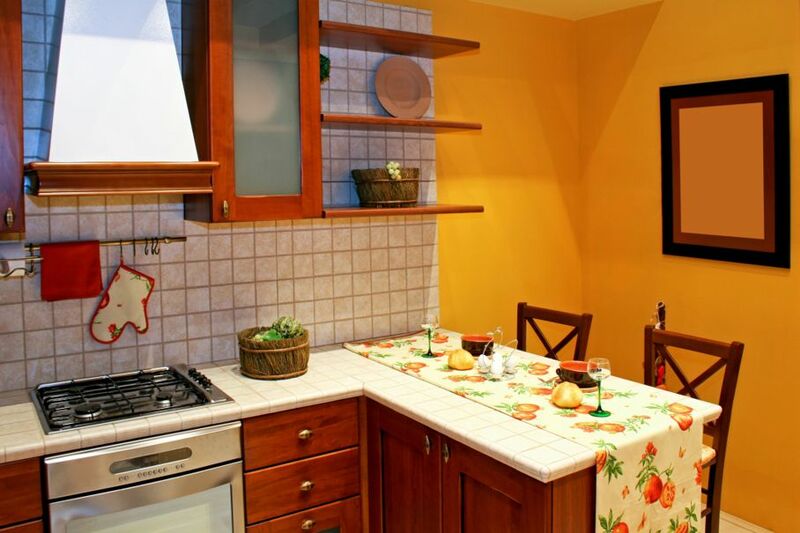 The countertops are the centerpiece of your kitchen. Use this area to make a bold statement in your interior design that will even help to increase the value of your home! I once bought a wonderful house with a terrible kitchen. And since we went a bit over budget when we bought the home, an entire kitchen remodel was out of the question. So, we did what every budget-minded homeowner would do — we painted our cabinets white, added a simple backsplash, and gave the walls a fresh coat of paint. But there was one thing we did splurge on — our countertops. 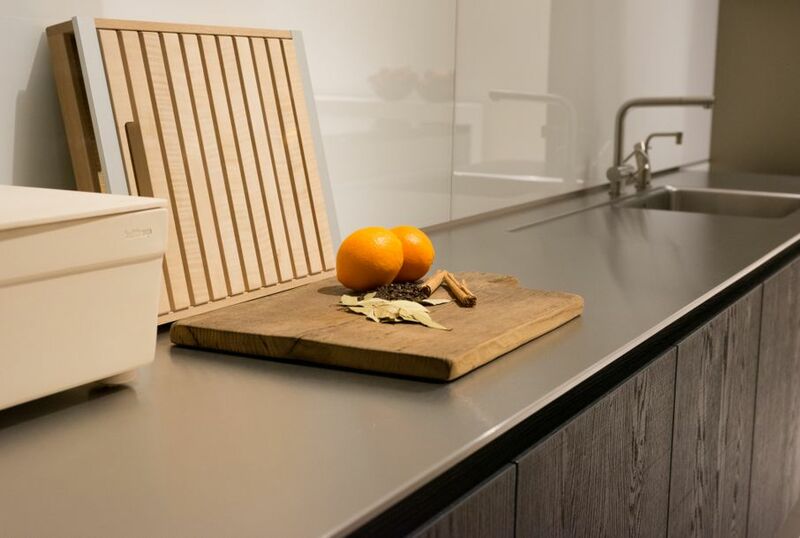 The countertops in your kitchen are more than just a preparation surface — they are a statement piece. 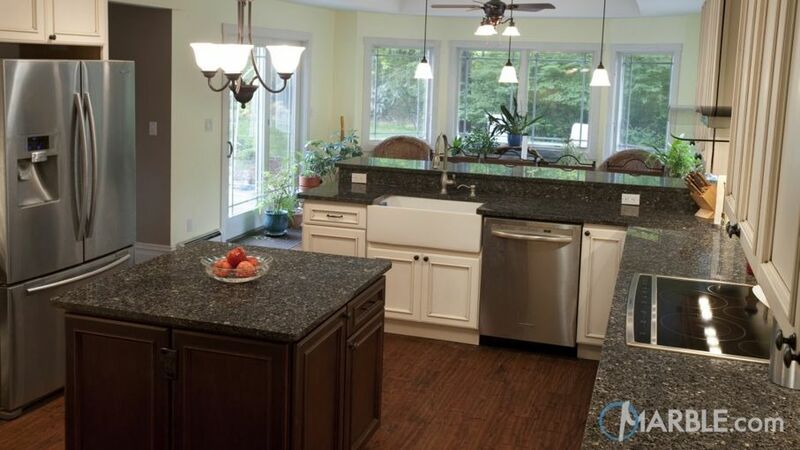 Whether you’re looking to update your old laminate countertops or refresh your look with a more high-end design, give ample consideration to your choice. At the end of the day, you’re bound to increase your home’s value if you make a smart purchase. 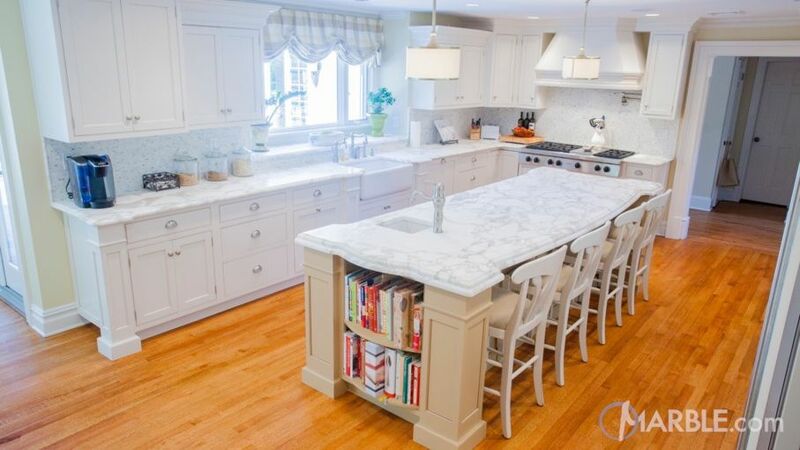 Pros: Marble is, in my opinion, the best countertop material for most homes. Costs are on the average side (depending on the type of marble you choose). Plus, it’s absolutely beautiful and timeless. Marble will match just about any kitchen decor, whether you have stained wood or painted cabinets, or a hodgepodge. Cons: Because marble is such a precious material, it’s important to avoid being rough with it. Be mindful not to scratch and avoid chopping or spilling foods and beverages that can stain (e.g. red wine and strawberries). Pros: Tile is versatile and affordable, and the options out there for tile countertops are virtually endless. Whether you’re interested in large bright red ceramic tiles or neutral white ones in subway-style, you’re guaranteed to find what you’re looking for out there. Cons: The porous nature of grout makes tile upkeep and maintenance a significant con. If you do decide that tile is the way to go, remember to seal your grout frequently to avoid unseemly stains. Pros: Granite is beautiful and unique. Each slab has different patterns, colors, and character which adds value to your home. It’s also easy to clean, low-maintenance and extremely durable. Cons: For styles out of the ordinary, expect to pay at least $20 or more extra per square foot. Also, granite can crack when impacted by heavy objects. Pros: Concrete is remarkably strong, heat-resistant, and relatively affordable. When sealed properly and maintained, concrete doesn’t absorb stains. Plus, it can be dyed virtually any color depending on your taste. It’s a highly versatile countertop type. Cons: Treating and sealing concrete is time-consuming. Additionally, concrete can crack if improperly installed, so it’s best to hire a professional. Pros: Because it’s a manufactured stone (as opposed to natural ones like granite), quartz has the same sturdiness with the added benefit of being less likely to crack. Quartz is not prone to staining. Cons: Quartz has very few cons, but keep in mind that it can become damaged when exposed to very high heat. Pros: Rustic and natural, soapstone is a great countertop option if you’re looking for a more natural feel in your kitchen. It’s not porous and has exceptional strength even though it’s slightly more pliable than marble or granite. Cons: Some homeowners with beautiful soapstone countertops make the mistake of cutting directly on the surface of their stone — a big “no-no”! Even though it’s not liable to crack, soapstone does show scratches so be mindful. Pros: Not many people use glass as a kitchen countertop. So, if you’re looking for something different, consider glass. Glass is not porous and is extremely heat-resistant. Unlike other countertop materials, glass can be colored and shaped any way you’d like for a truly custom finish. Cons: Glass is known to crack, chip and scratch quite easily. Pros: Unusual and statement-worthy, stainless steel and copper countertops aren’t frequently used in household kitchens, but they do add a unique vibe. 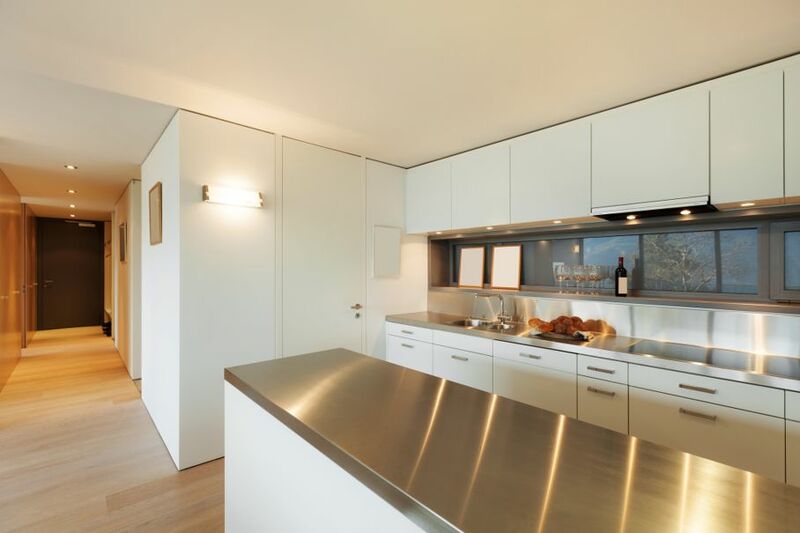 Stainless steel offers a clean, modern aesthetic, while copper countertops scream “vintage”. Both have a high heat resistance. Cons: Copper stains easily, so adequate sealant is necessary to avoid those characteristic rusty greens and browns. Also, certain chemicals harm both copper and steel, so be sure to check your cleansers before spraying away. 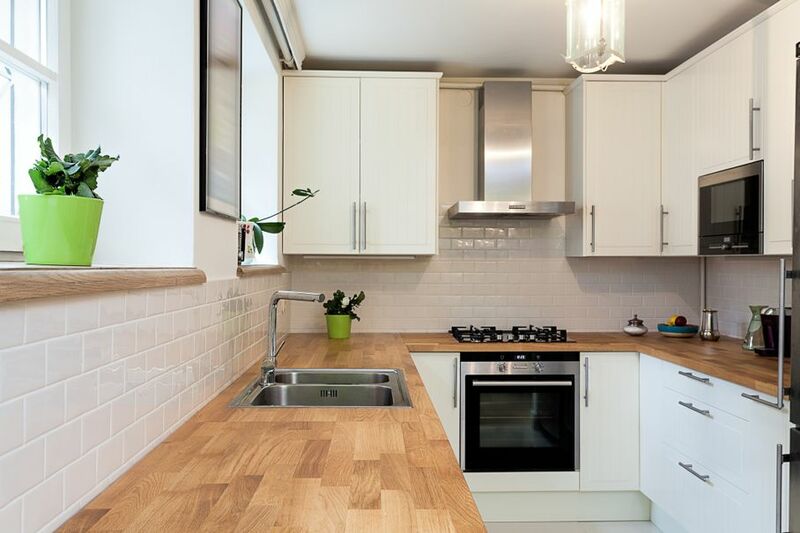 Pros: Wood is perfect if you’re looking to create a cozy, inviting kitchen. 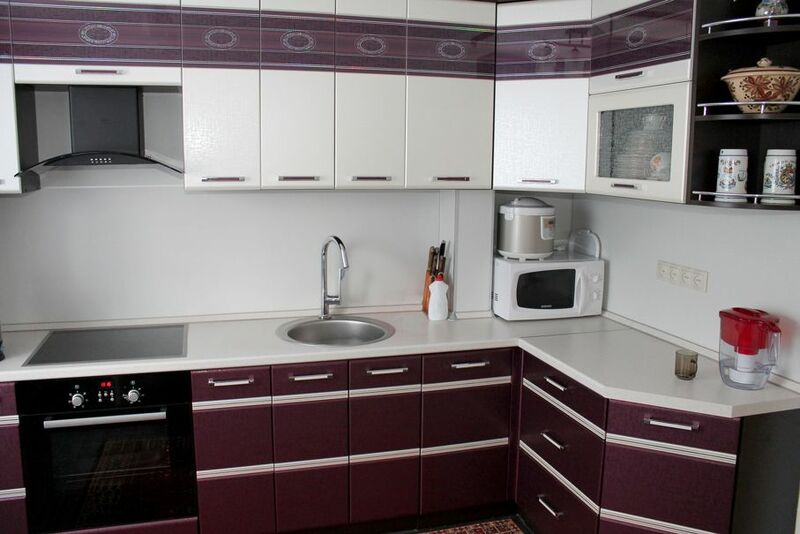 It gives off a warm feel and generally matches with most kitchen decor. Cons: Prone to swelling and burns from direct heat, wood is not the ideal countertop unless you’re very mindful in the kitchen. After the initial stain and seal, you’ll need to re-seal every few years (depending on use). Also, avoid most household chemicals and stick with a mixture of vinegar and warm water to clean. Pros: Laminate is to go-to countertop material for budget-minded homeowners and it’s quite easy to install. 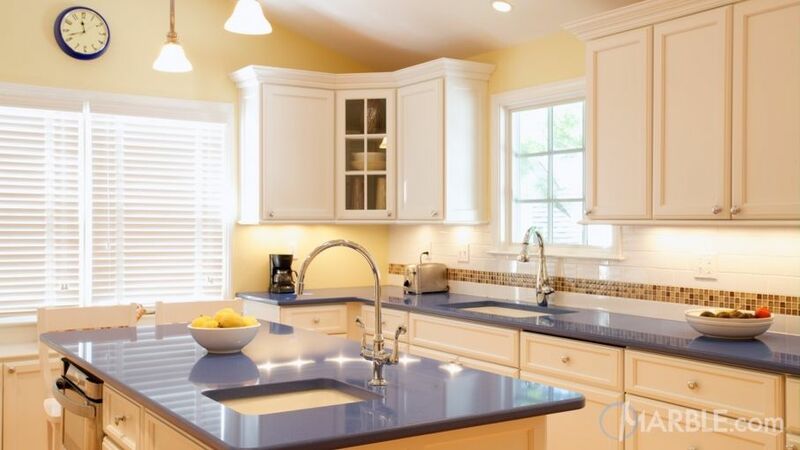 Today, there are many laminates out there in many different styles and colors, so it’s a great option for those that want a custom countertop. Cons: Damage is almost too-common with laminate because it isn’t heat or scratch resistant. If you have plans to sell or rent your home in the near future, many prospects may look elsewhere if they notice too much laminate. 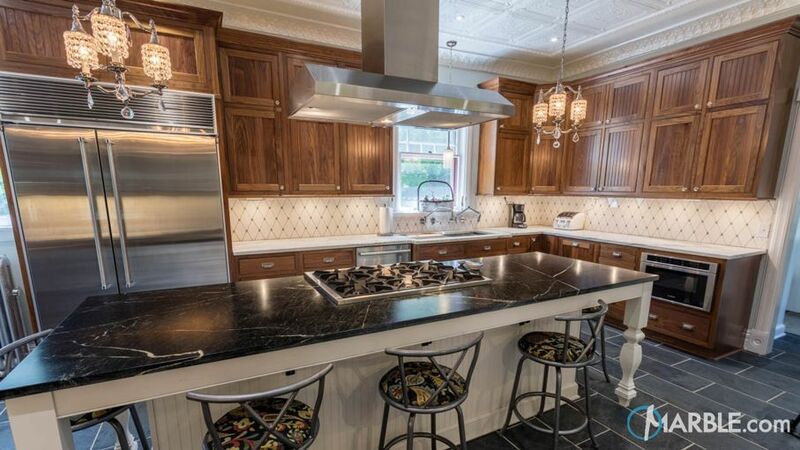 As you can see, kitchen countertops are a very personal choice. And boy, are a number of options out there enough to make your head spin! So, establish a budget, think about how often you put your countertops to heavy use, and then decide on the best material for your home.